The other day Peter, my glass fibre expert, lost his footing on the temporary (now six years old!) companion way steps on our Mystery 35. It was a sunny day but there had been a few showers, and unfortunately the unvarnished wood was a tad slippy. The treads for the permanent companion way steps, still not assemble and fitted, are varnished in two pack Epifanes varnish and to take the slip factor out I am using strips of 3M safety tread, to my mind one of the best non slip products in the marine market. I would say, however, that I would never use it in areas where it would come into contact with clothing/sails or ropes! If you want a much more friendly nonslip the TBS nonslip is excellent, I used it on our last self build, the Channel 31, and 10 years later it was still going strong! Make sure however that you always put a radius on the edge so as to stop it lifting when deck shoes or boots slide into it. 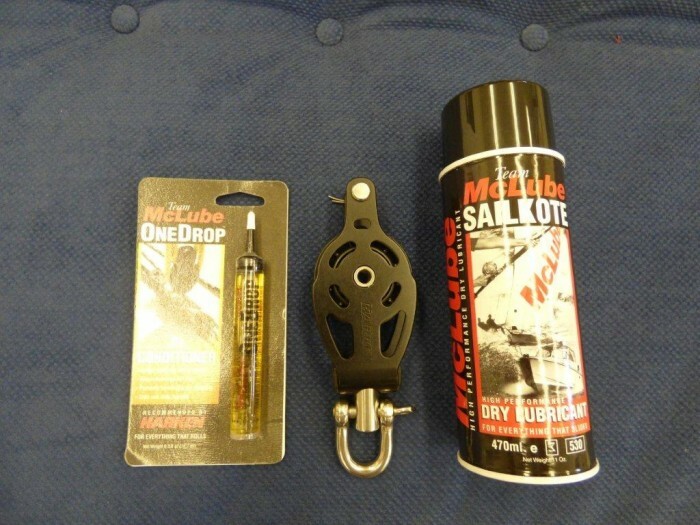 On a different slippery subject, when Wednesday night racing crewing on an Albin Express at the R.N.Y.C we use Mclube Sailkote which is a high performance dry lubricant for anything that slides on the boat. Hoisting the mainsail, slider tracks, hatch runners etc and it lasts up to 10 times longer than Teflon additives, oil or wax based lubricants. For ball bearing blocks One Drop ball bearing conditioner gets the nod. It helps repel dirt, salt and other deposits to protect, lubricate and condition the bearing surface. It reduces friction so balls roll freely and evenly for improved performance. This entry was posted in Safety, Sails, Top Tips Tuesdays, Rigging on July 26, 2016 by Rob Storrar. Mike Coates article was written in 2013, it’s a great read full of all sorts of helpful hints and tips and has just been refreshed once again by the team at Marinechandlery.com read, enjoy and have a great time on your summer cruise! It’s that time of year when you may be thinking of or have already started to get ready for your summer cruise, here are a few tips that may help you have a trouble free and enjoyable cruise. Have you checked your rig recently? Make sure all split pins are secure in the clevis pins and have been taped over to prevent snagging on boots or worse still slicing into your bare ankle; go aloft in a bosun’s chair; if you don’t have one consider purchasing one before you leave, you may need to climb the mast sometime during your cruise and it's not always possible to borrow one! Make sure you go up on two halyards that are in sound condition and don’t use snap shackles to secure the chair to the halyards, use a standard screw pin shackle through the spliced eye in the halyard. Check all split pins aloft together with tangs, T terminals, backing plates, spreader roots etc for security. Rig tensions should be checked with a tension meter. This is even more necessary if you have recently re-rigged and not re-tensioned. The wire will have bedded in and stretched causing a reduction in rig tension. Make sure all running rigging is free of chafe or damage, replacing any defective lines before they break. Consider replacing spiked wire/rope halyards with one of the modern low stretch materials such as Dyneema, Spectra etc. All navigation lights should be checked to make sure they are in working order, it’s far easier to change them while in port that up a mast while at sea: carry spare bulbs for each type of lantern. Ensure spinnaker pole piston fittings are free and well lubricated, if you use a full batten mainsail system it’s worth while spraying the track, batten and intermediate slides with a PTFE type dry lubricant which will make hoisting easier. If you didn’t do it pre-season, make sure the water in your tanks is drinkable. If necessary flush out with a proprietary tank cleaner to remove any nasties that may be lurking, which could result in an upset stomach for you and your crew, and make sure you change your water filter if fitted. Carrying a pack of Aquatabs is always a good idea when filling up elsewhere in case the water you take onboard isn’t very good quality. Its advisable to sample a glassfull before filling your tanks and carry a quantity of fresh bottled water as a back up if you should have any issues with the quality of the water available. If an electric pump is the only means of drawing water from your tanks consider having an alternative method such as a Whale Flipper; you could be left without means of obtaining water from your tank if you have a pump or electrical failure which could be serious on a 2-3 day crossing. SAILS - Check your sails before you depart. Its no good remembering a couple of days into your cruise that you didn’t have that small tear in your genoa repaired that’s now developed into a long split! 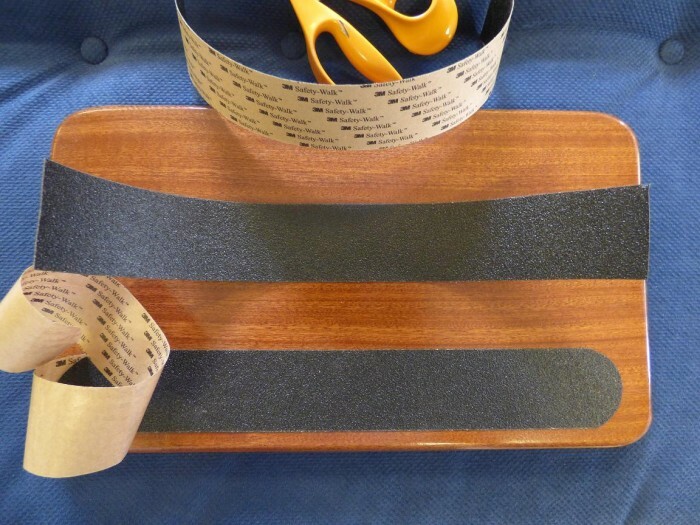 Carry a repair kit, sail repair tape, sail cloth, needles, twine, webbing sewing palm etc on board. Being able to carry out a temporary repair may save your sail from further damage and prevent you having to curtail your cruise. ENGINE - If haven't already done so pre-season, make sure your engine has been serviced. If cruising abroad, make sure you have sufficient oil and filters to make at least one oil change, it may just get you home if you have either an oil leak or water entering the engine and emulsifying the oil. Dose your fuel with a diesel biocide and carry additional to add to your uptake of fuel together with a couple of sets of fuel filters in the event you develop a fuel bug problem. Tip, if buying diesel abroad try to buy from somewhere that has a good turnover rather than somewhere off the beaten track where fuel may have been standing in storage tanks for some time. Carry spare water impellers and a kit of gasket material so you can make your own; it can be notoriously difficult to obtain even the simplest of spares while abroad. Carry details of your engine parts supplier in the UK, the only way you may be able to obtain spares is to have them shipped from the UK. Ensure you have spare electrical fuses of the correct type and amperage. SAFETY - Test your VHF with the Coastguard before you leave, if you have a hand held make sure it’s fully charged and in working order. If cruising offshore consider carrying an emergency VHF aerial in the event of a dismasting. Check your flares are in date. Any that are out of date should be removed and replaced with new as some authorities will fine the skipper a considerable sum of money. Gaining in popularity is the Odeo Mk 3 – LED flare. Benefits include a ‘burn time’ of 5 hours at full illumination, 14 year shelf life with supplied batteries. It can be carried on aircraft with your baggage and its search and rescue aircraft safe and no problems with disposal like traditional pyrotechnics. If you carry an EPIRB or PLB (an essential item if you plan any sea crossings or sailing more than a few miles away from the coast) make sure the batteries are in date and very importantly that you have registered it with the Coastguard EPIRB registry who will hold your details; in the event of an emergency it makes their job much easier to know who or what they are looking for! An AIS beacon is worth considering if you are crewing a yacht or powerboat, should you go overboard and are carrying one it enables those on board a vessel with an AIS to quickly and effectively locate you. Check your liferaft to make sure it and any hydrostatic release’s are within their service date. As a minimum, a set of wood plugs for every through hull fitting is essential, preferably attach them to the thru hull fitting etc; it's no good having to go looking for an item to bung up a hole when you're sinking in the middle of the night, however, these days a lot of skippers are investing in a tub of Stay Afloat or, for a blocked valve, Seabung. If you are planning on any night sailing or even have the chance of getting caught in the dark ensure you replace batteries in your Danbuoys and torches; always carry spare sets of batteries on board. Have you serviced/checked over your lifejackets, if not, now is the time to do so. No crutch strap? your jacket is useless without one. Ensure you have more than just one re-arming kit per lifejacket: it's no good if you discharge your lifejacket on the first day of your holiday and render it unusable! Make sure all jackstaylines haven’t been degraded by UV, replace if necessary, check you have harnesses (or lifejacket with harnesses) complete with safety lines for each person on board. Its preferable to always wear a lifejacket and be clipped on at all times and essential at night, never leave the cockpit to go on deck without being ‘clipped on’ and never leave the security of the cockpit at night without telling someone. While the idea is not to fall overboard, it does happen so make sure there is someone who can take charge and know exactly what to do in the event of a man overboard. For the small cost its worthwhile carrying at least one thermal protection appliance (TPA) it can be a lifesaver in helping keeping a wet cold person warm and alive. Ensure you have a good first aid kit and someone who knows how to use it together with one of the approved first aid books which can be an excellent reference manual when in a panic! If cruising offshore where you may be a couple of days away from help, add items such as ‘Steri-strip closures for treating severe/deep cuts, Melolin dressings for treating minor burns and a ‘Sam Splint’ which is an easily storable roll up splint for immobilising fractures. 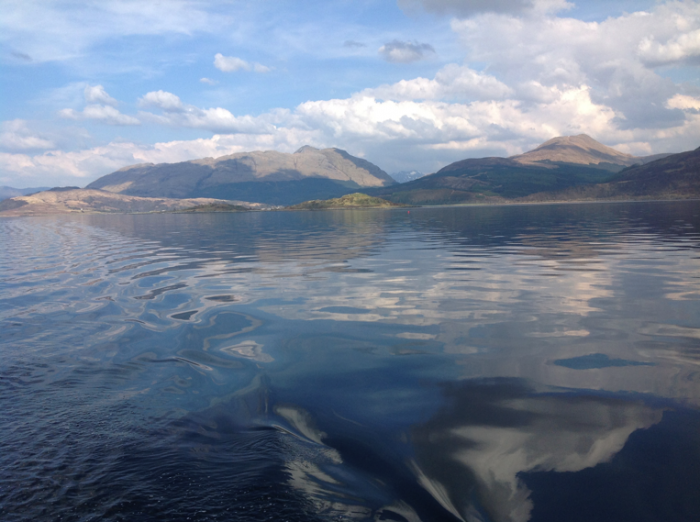 NAVIGATION - Make sure your GPS, chart plotter etc is working, update or buy new electronic charts. If going abroad make sure you back up your plotter charts with up to date paper charts both for the crossing and your destination. The North Sea has numerous rig movements, it can be quite daunting to suddenly come across a rig or production platform at night or in the fog that isn’t on your old chart and then there are wind farms... enough said! Pilot books for the area you're cruising will both simplify navigation and give details of where you can berth, obtain supplies, fuel etc. Make sure you carry the correct documentation for both yourself and the boat; some countries now demand your insurance policy is available for inspection in their native tongue. Many countries now require a ‘Certificate of Competence’ (ICC) in preference to the Yachtmaster/Yachtmaster Coastal, it’s as well to check with the RYA as to what documentation is requirements for a specific country. Keep all fuel receipts especially if visiting Holland where you may be asked for proof of purchase of red diesel in the UK. Belgium operates a total ban on the use of red diesel, if you are checked and found to have traces of it in your tank you could face a heavy fine. PERSONAL - You need to be warm and comfortable while at sea, many a passage has been spoilt by the crew being cold and miserable. Make sure you have a good set of foul weather gear and importantly the correct mid and base layers to wear under them. These days foulies are there to keep the elements out. They no longer give much thermal protection so you need to invest in some form of thermal wear to keep you warm. The North Sea and beyond, even mid season, can be a very cold place, day or night, especially if you get wet. Appropriate boots and deck shoes are a necessity. If your budget allows go for breathable, they are so much warmer and more comfortable. Consider purchasing a couple of pairs of waterproof, breathable Sealskinz Socks if short of funds. Does your wife/partner dread the summer cruise as a result of sea sickness, there’s nothing worse than being debilitated for days while the husband is enjoying his sailing, try one of the electronic ‘Relief Bands’, not the cheapest pieces of kit but something that really works and can save a holiday! My wife who having sailed more than 25,000 miles in the last 15 years for no apparent reason started becoming seasick while on passage, a Relief Band has been a complete cure allowing her to carry on sailing, I’m sure without it she would have packed up. An alternative to the Relief Band and at roughly half the price the Boarding Ring Anti-Motion Sickness Glasses are excellent and available for both adults and children. Before you leave port make sure you tell someone responsible where you are going and when you expect to depart/arrive, make sure you set yourself a realistic ETA, don’t think you can do it in two days when realistically it will take you three. It can cause worry when you haven’t arrived when expected. If you haven’t already done it register a CG66 with the Maritime and Coastguard Agency which can be done online. 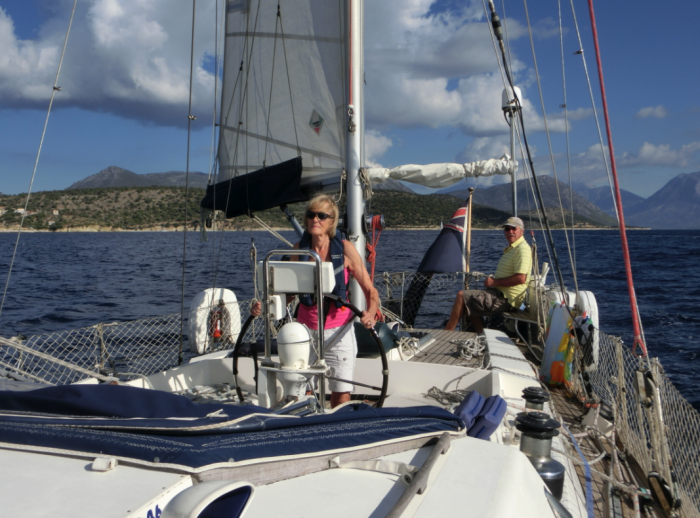 This entry was posted in General Interest, Safety, Sails, Top Tips Tuesdays, Maintenance, Cruising, Life Onboard and tagged Summer Cruising Preparation on July 19, 2016 by Rob Storrar. On our last boat, the Channel 31, there was very little teak; handrails, washboards and a cockpit kick board. On the Mystery 35 (still not launched) we have a teak toe rail, handrails are the same, in the cockpit area the cockpit coaming/cockpit seats are again in my favourite wood. For pure indulgence we have gone for a laminated teak tiller and for pre dinner G & T's/after dinner coffee and port(s) in the cockpit, a Lagun versatile teak table. The beauty of this table, apart from its looks, is that it is fully adjustable, has no legs to get in the way and it can be folded and packed away! Maybe the next boat (highly unlikely according to Jenny) will have teak decks. I like to see the golden brown of 'new teak' yet one of our good customers who has a Najad 373 swears by the silver grey look! If you are of the latter persuasion, very little maintenance is required. If you're sailing in a hot climate or on a very sunny day it is recommended that you wash the deck down in the morning with water, preferably seawater, before it gets too hot, then repeat again in the late afternoon. In the autumn when the boat is being laid up, the use of Wet & Forget will keep the green look away (great also for glassfibre and canvas work). If the rubber caulking is starting to protrude above the planking, sand flat but only along and not across the seam. If you don't keep an eye on any that is proud there is a danger that you or a crew member's foot can roll it out of the seam! If you like the look of slightly weathered teak our boatyard guy uses Teak Wonder Cleaner if the skipper wants to refresh the wood. 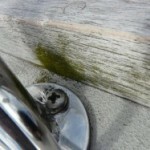 It's easy to apply and use, no hard scrubbing, just brush onto a wet deck until clean and then wash off. 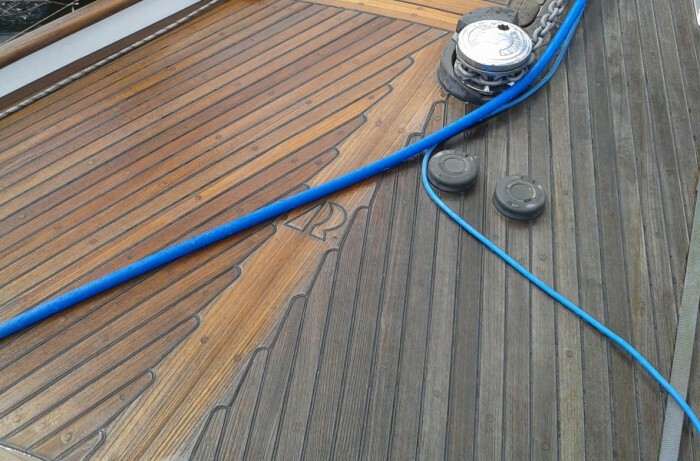 If a lighter new look is required, Teak Wonder Brightener is then applied, once again to a wet deck. 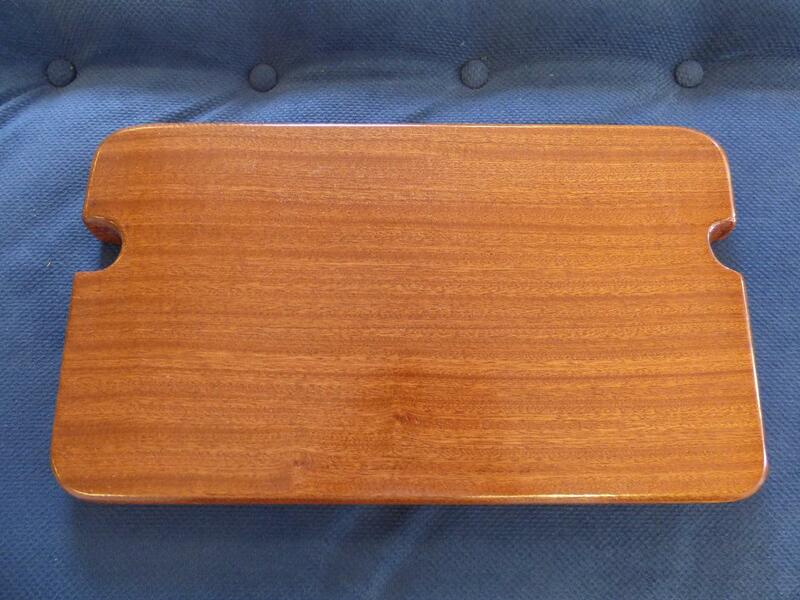 The teak will lighten almost instantaneously. To keep the teak looking like new, once the deck is bone dry an application of Teak Wonder Dressing and Sealer is the answer. Me I have used with great success the Onward Trading Companies Teak Cleaner & Renovator both on boats and on our garden furniture. To get into those awkward places, the Shurhold Detailing brush, which has of course stainless bristles, is an excellent bit of kit to carry on board. Shurhold ultra fine bronze woolis also a great product for use on teak and other marine wood, and can be used for polishing metal. Excellent for bringing back the shine to your stainless cooker hob, glass and can even be used to clean solar panels. 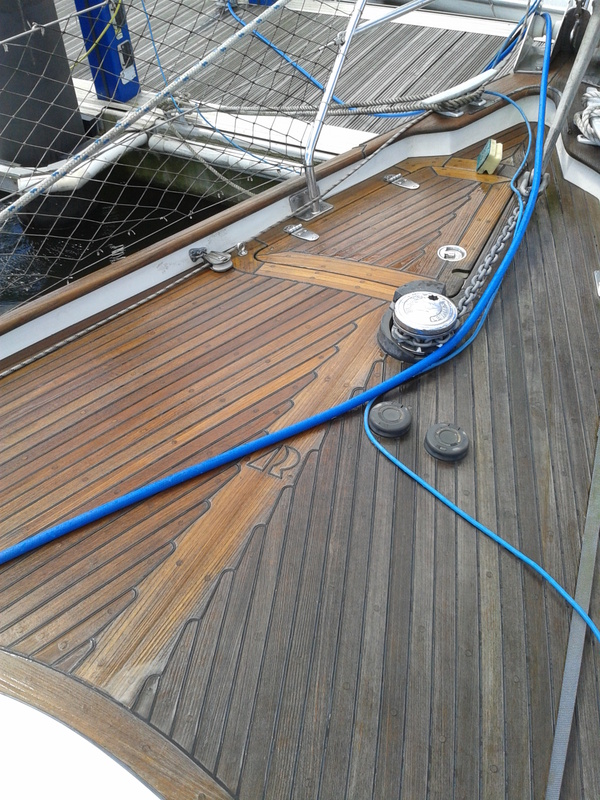 This entry was posted in General Interest, Top Tips Tuesdays, Repairs, Maintenance, Cruising, Life Onboard and tagged Shurhold, Teak Wonder, Wet & Forget, Teak, Teak Maintenance, Detailing Brush, Bronze Wool on July 12, 2016 by Rob Storrar. Boss man Andy’s missus got a ‘new’ second hand car the other week (old one was well past its sell by date, amongst the various problem, a suspected turbo failure!) Jill was devastated when arriving back to her new pride and joy after her first shop at Tesco’s to discover that another vehicle had kissed the front bumper whilst she was in the supermarket. When Andy got home that evening he was pleasantly surprised to see that the meal awaiting his consumption was his favourite dish as it was not what Jill had said it would be, there was a dessert to follow and as a bonus a freshly poured Jack Daniels and coke was awaiting his attention. Not that Andy is at all suspicious but he did then wonder why the family car was facing bows in and not out as per usual. All was revealed five minutes later when one of his young daughters, after being dropped off after gymnastics, comes running in and asks her daddy if he was still cross with the nasty person who had scraped mummy’s car! Dinner consumed he popped out to inspect the damage and after running his hand over the bumper realised that it was only surface damage and not as bad as it looked. In the works van parked alongside the car was a tub of Vistal and 10 minutes later, after using the product and of course a modicum of elbow grease, the bumper was once again immaculate. Andy went upstairs where Jill was reading the girls a bed time story and said "sorry, but are you pulling my leg as I can't find any damage on the car, now tell me what has really happened!" Not only is Vistal excellent for keeping the peace, it can of course be used with confidence and gives excellent results on GRP, alloy and painted wood. 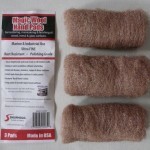 It’s also great for polishing stainless cookers, in fact most surfaces both inside and outside on a boat. Use Vistal to bring your tender up to scratch, it’s great for using on PVC or Hypalon and is one of the few products that works well on Topper dinghies. Vistal also has many uses in the house; it cleans and polishes UPVC windows and doors, refreshes grouting between tiles, is great as a cleaner/polish for cleaning your AGA, removing dirty scuffs from emulsion painted walls and of course when purchased it can be set against the household budget instead of the boat’s! 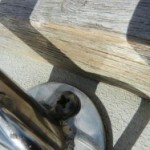 This entry was posted in General Interest, Products in the spotlight, Top Tips Tuesdays, Repairs, Maintenance, Life Onboard on July 5, 2016 by Rob Storrar.